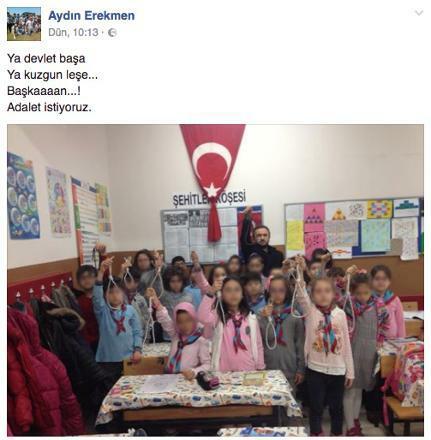 Aydın Erekmen, a Turkish elementary school teacher was found to have posed with a hangman’s noose in a classroom along with his students in support of government’s plans to reintroduce death penalty. Top state officials, the President Recep Tayyip Erdoğan in particular, said on many occasions after the July 15 coup attempt that Turkey will reinstate the capital punishment. A teacher at a primary school in Istanbul’s Başakşehir district, Erekmen showed his supports to the considered changes in the legislation by holding nooses. “Make or break… O, the President! We want justice,” Erekmen have posted on his Facebook account with a picture of him and his students holding hangman’s nooses. In another photo, Erekmen, accompanied by his students, is seen making soldier salute. 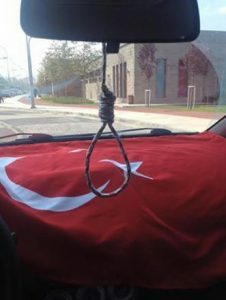 The teacher also shared a picture of another execution knot hanged to the rearview window his car. 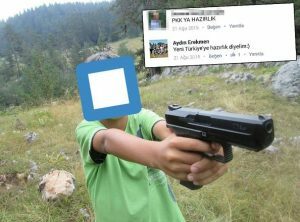 “Let’s say preparation for the New Turkey,” Erekmen’s replied to his friend who asked if the teacher’s own child, who is seen posing with a gun in a 2015 post, prepares himself against the outlawed Kurdistan Workers’ Party (PKK). According to the Republican Peoples’ Party (CHP) deputy Ali Şeker was suspended as part of an investigation into the incident. 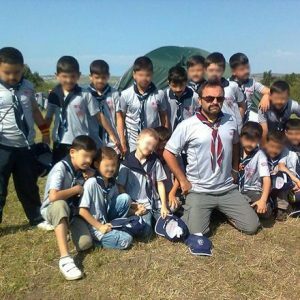 Yet, the school principal, in an interview with Birgün daily, said the teacher said the nooses were a part of an exercise on scouting knots he has been working as a class activity for some time.